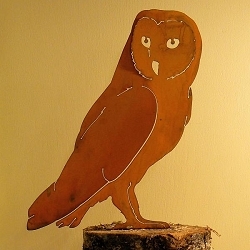 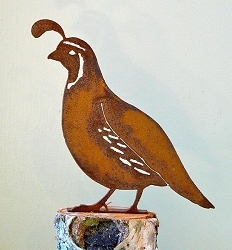 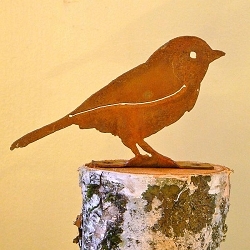 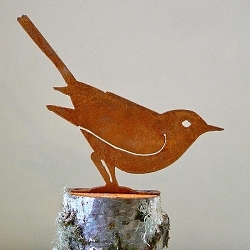 Beautiful Handcrafted Metal Bird Silhouettes For Home and Garden! 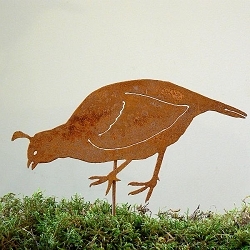 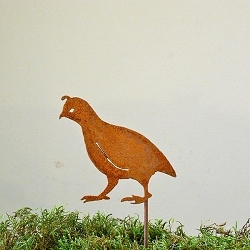 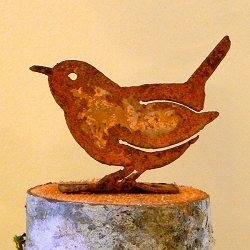 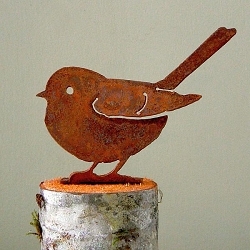 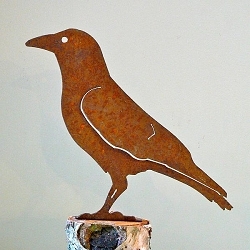 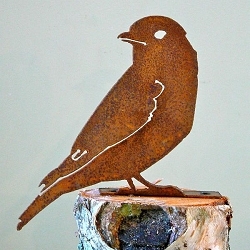 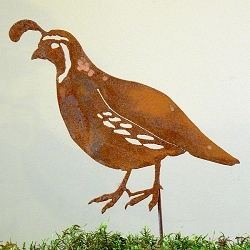 These unique rusty steel bird silhouettes will add interest to any garden landscape or interior decor. 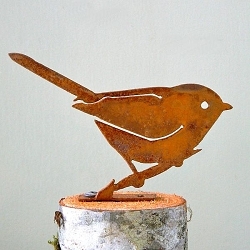 Mount to wooden stakes, posts, deck rails, fences, tree branches, wood bases, on top of bird feeders or bird houses as a finial to create a rustic natural look. 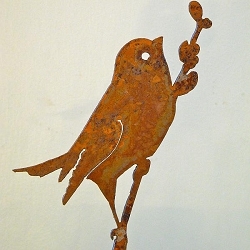 Can also be used as decorative accents indoors. 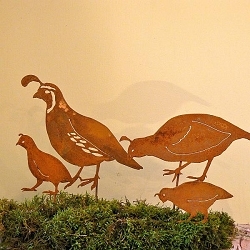 Add multiple birds to create interesting imaginative displays! 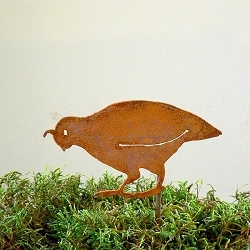 Each bird silhouette comes with tab for easy mounting. 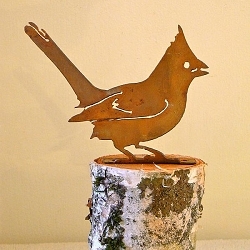 Proudly made in the USA by skilled artisans. 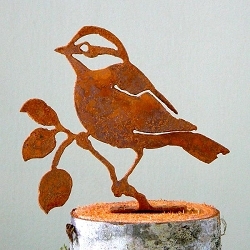 Capturing not only the essence of birds, these wonderful rustic metal silhouettes reflect personality as well as species specific traits that brings a smile and oohs and aahs to ones day. 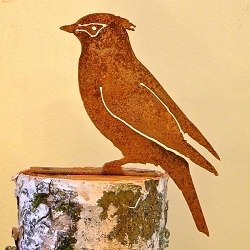 Adding to their sweetness is the fact that one can bend out their wings and add even more character that captures the likeness of our feathered friends. 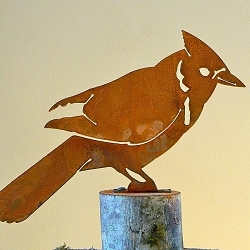 From the smallest little wren to the magnificent Great Blue Heron, our artists have had delight turning their love of birds into this enjoyable form. 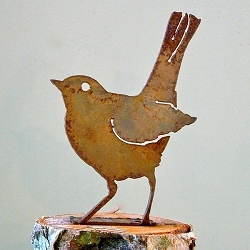 Each one captures characteristics that are fun to identify just from their silhouetted form.